Working out and staying healthy doesn’t have to cost a lot or need the use of fancy equipment; sometimes the best ways of keeping fit are completely free. Well now Floating Fitness, run in conjunction with Virgin Active Health Club are hosting a series of activities out on the water which are completely free to join, including all equiptment – all you you have to bring is yourself and some active wear! Offering activities such as yoga, pilates, meditation and paddleboarding, the classes are designed for those of all abilities and ages, fitting in and around your busy schedule, taking place before work, throughout out the day and after work. Want to really feel the ambiance of the water-based setting? There will also be a series of late-night sessions lit by candles, so that you can look up at the stars whilst you meditate. Part of Merchant Square’s ongoing health and wellbeing campaign, the week worth of classes is the perfect way to get fit, in a unique and unusual way. 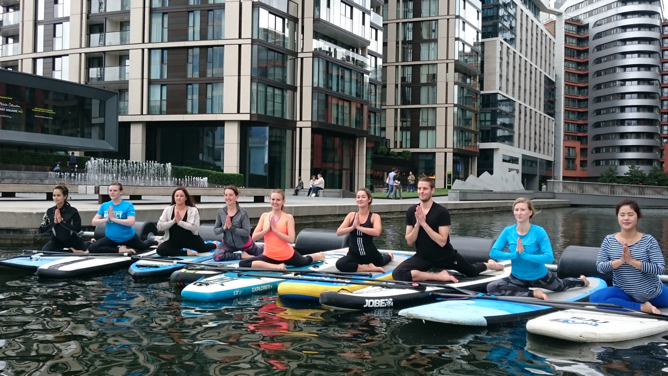 What: Floating fitness classes on the Grand Union Canal.